Practice Areas: Civil Litigation; Business Litigation; Contracts; Real Estate Litigation. Member: Orange County Bar Association (Member, Litigation Section); Association of Business Trial Lawyers. Biography: Licensed Real Estate Broker, California. Reported Cases: Balboa Island Village Inn, Inc. v. Anne Lemen. J. Scott Russo has been one of the most active business and real estate trial attorneys in Orange County. After graduating from Loyola Law School in 1991, Scott was a Deputy City Attorney for the City of San Diego, heading the financial crimes unit and amassing over 25 jury trials. In 1995, Scott moved to Laguna Beach and started as an associate, and then became a partner, in a prominent Orange County business and real estate law firm. 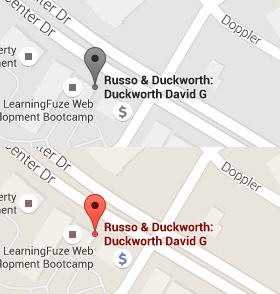 In 2006, Scott co-founded Russo & Duckworth, LLP, in Irvine with David Duckworth, an intellectual property expert and fellow Laguna Beach resident. Scott also co-founded King & Russo, Ltd. in Carson City, Nevada, where he also has been licensed for the last 17 years. Scott’s practice revolves around contract and real estate disputes, whether representing business owners, employers, partners, property owners, brokers, buyers and sellers of real estate. For the last 13 years, Scott has been peer rated AV Preeminent, the highest achievable peer rating for ethics and ability.